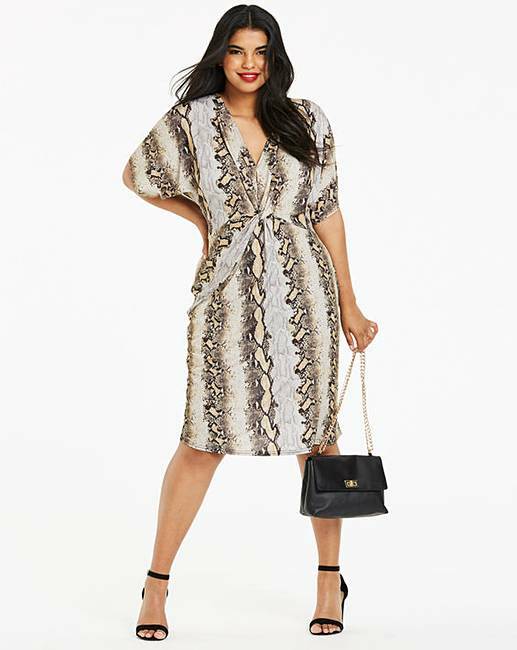 Snake Print Twist Knot Midi Dress is rated 3.3 out of 5 by 4. Rated 5 out of 5 by Jaxi40 from Great Fit I purchased this for my sister for her birthday and she absolutely loves it. 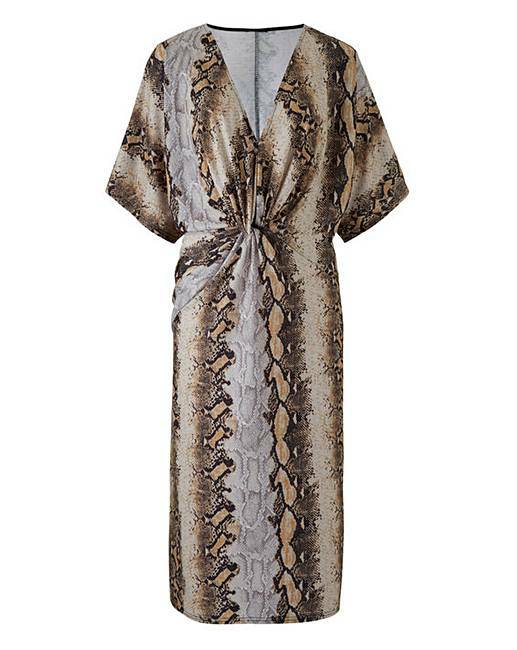 Dressed with boots for the winter or sandals in the summer, so it is very versatile. Lovely fit and really worth the money. Rated 2 out of 5 by Becca from Too short I really like the material and the way it fits on the top but I would say the skirt is about 2 inches too short.